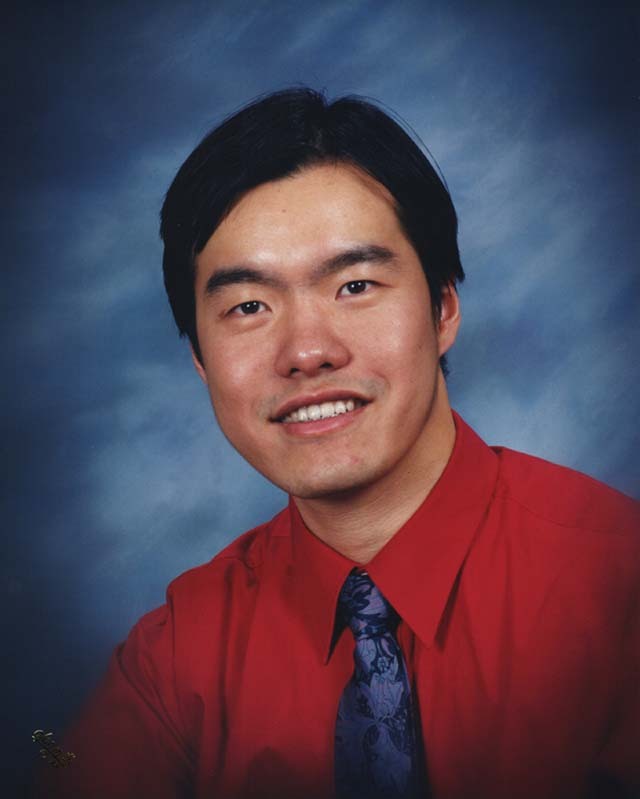 William N. N. Hung, Ph.D.
VLSI CAD, Nanotechnology, Quantum Computing, and Reversible Logic. Juling Zhang, Guowu Yang, William N. N. Hung, Tian Liu, Xiaoyu Song, Marek A. Perkowski, "A Group Algebraic Approach to NPN Classification of Boolean Functions", Theory of Computing Systems, Accepted 2018. Juling Zhang, Guowu Yang, William N. N. Hung, Jinzhao Wu and Yixin Zhu, "A New Pairwise NPN Boolean Matching Algorithm Based on Structural Difference Signature", Symmetry, Volume 11, Issue 1, 2019. Min Zhou, William N. N. Hung, Xiaoyu Song, Ming Gu, and Jiaguang Sun, "Temporal Coverage Analysis for Dynamic Verification", IEEE Transactions on Circuits and Systems II, Volume 65, Issue 1, January 2018, pages 66-70. Juling Zhang, Guowu Yang, William N. N. Hung, Jinzhao Wu, "A Canonical-based NPN Boolean Matching Algorithm Utilizing Boolean Difference and Cofactor Signature", IEEE Access, Volume 5, November 2017, pages 27777-27785. Juling Zhang, Guowu Yang, William N. N. Hung, Yan Zhang, Jinzhao Wu, "An efficient NPN Boolean matching algorithm based on structural signature and Shannon expansion", Cluster Computing, Accepted 2017. Yan Zhang, Guowu Yang, William N. N. Hung, and Juling Zhang, "Computing Affine Equivalence Classes of Boolean Functions by Group Isomorphism", IEEE Transactions on Computers, Volume 65, Issue 12, December, 2016, pages 3606-3616. Rui Wang, William N. N. Hung, Guowu Yang, and Xiaoyu Song, "Uncertainty Model for Configurable Hardware/Software and Resource Partitioning", IEEE Transactions on Computers, Volume 65, Issue 10, October, 2016, pages 3217-3223. Jiantao Zhou, Caihe Lan, William N. N. Hung, Xinrui Guo, and Xiaoyu Song, "A Quantitative Characterization of Cross Coverage", IEEE Transactions on Computers, Volume 64, Issue 8, August 2015, pages 2408-2414. Fuyou Fan, Guowu Yang, Gang Yang, and William N. N. Hung, "A Synthesis Method of Quantum Reversible Logic Circuit Based on Elementary Qutrit Quantum Logic Gates", Journal of Circuits, Systems and Computers, Volume 24, Issue 8, September 2015. Chao Zhao, Guowu Yang, William N. N. Hung, and Xiaoyu Li, "A multipartite entanglement measure based on coefficient matrices", Quantum Information Processing, Volume 14, Issue 8, August 2015, pages 2861-2881. Qian Wang, Xiaoyu Song, and William N. N. Hung, "Scalable Verification of a Generic End-Around-Carry Adder for Floating-Point Units by Coq", IEEE Transactions on Computer-Aided Design, Volume 34, Issue 1, January 2015, pages 150-154. Hehua Zhang, Yu Jiang, William N. N. Hung, Xiaoyu Song, Ming Gu, and Jiaguang Sun, "Symbolic Analysis of Programmable Logic Controllers", IEEE Transactions on Computers, Volume 63, Issue 10, October 2014, pp. 2563-2575. Hongsheng Yin, Honggang Qi, Jingwen Xu, William N. N. Hung, Xiaoyu Song, "Generalized Framework for Similarity Measure of Time Series", Mathematical Problems in Engineering, Volume 2014, Article ID 572124. Qianqi Le, Guowu Yang, William N. N. Hung, Xinpeng Zhang and Fuyou Fan, "A multiobjective scatter search algorithm for fault-tolerant NoC mapping optimisation", International Journal of Electronics, Volume 101, Issue 8, 2014. Qianqi Le, Guowu Yang, William N. N. Hung, Xiaoyu Song, and Xinpeng Zhang, "Pareto optimal mapping for tile-based network-on-chip under reliability constraints", International Journal of Computer Mathematics, Volume 92, Issue 1, 2015, pages 41-58. Yongjian Li, Naiju Zeng, William N. N. Hung, and Xiaoyu Song, "Combining Symmetry Reduction with Generalized Symbolic Trajectory Evaluation", The Computer Journal, Volume 57, Issue 1, January 2014, pp. 115-128. Jie Zhang, Yuntao Peng, William N. N. Hung, Xiaojuan Li, Jindong Tan, and Zhiping Shi, "A Case Study on Formal Analysis of an Automated Guided Vehicle System", Journal of Applied Mathematics, 2014, Article ID 327465. Desheng Zheng, Guowu Yang, Zhicai Wang, William N. N. Hung, "An efficient algorithm for finding attractors in synchronous Boolean networks with biochemical applications", Genetics and Molecular Research, 12(4), 2013, pages 4656-4666. Qianqi Le, Guowu Yang, William N. N. Hung, Xiaoyu Song, and Fuyou Fan, "Performance-driven assignment and mapping for reliable networks-on-chips", Journal of Zhejiang University SCIENCE C, Volume 15, Issue 11, November 2014, pp. 1009-1020. Yu Jiang, Hehua Zhang, Xiaoyu Song, William N. N. Hung, Ming Gu and Jiaguang Sun, "Bayesian Network Based Reliability Analysis of PLC Systems", IEEE Transactions on Industrial Electronics, Volume 60, Number 11, November 2013, pp. 5325-5336. Xibin Zhao, William N. N. Hung, Yafei Yang, and Xiaoyu Song, "Optimizing communication in mobile ad hoc network clustering", Computers in Industry, Volume 64, Number 7, September 2013, pp. 849-853. Zhufei Chu, Yinshui Xia, William N. N. Hung, Xiaoyu Song, and Lunyao Wang, "Timing-driven logic restructuring for nano-hybrid circuits", International Journal of Electronics, Volume 100, Number 5, May 2013, pp. 669-685. Tao Wang and William N. N. Hung, "Reliable Node Clustering for Mobile Ad Hoc Networks", Journal of Applied Mathematics, 2013, Article ID 285967. Guowu Yang, William N. N. Hung, Xiaoyu Song and Wensheng Guo, "A Transformation-Based Approach to Implication of GSTE Assertion Graphs", Journal of Applied Mathematics, 2013, Article ID 709071. Wensheng Guo, Guowu Yang, William N. N. Hung and Xiaoyu Song, "Complete Boolean Satisfiability Solving Algorithms Based on Local Search", Journal of Computer Science and Technology, Volume 28, Number 2, March 2013, pp. 247-254. Liangze Yin, Fei He, William N. N. Hung, Xiaoyu Song, and Ming Gu, "Maxterm Covering for Satisfiability", IEEE Transactions on Computers, Volume 61, Number 3, March 2012, pp. 420-426. Hehua Zhang, Yu Jiang, William N. N. Hung, Guowu Yang, Ming Gu, Jiaguang Sun, "New strategies for reliability analysis of Programmable Logic Controllers", Mathematical and Computer Modelling, Volume 55, Issues 7-8, April 2012, pp. 1916-1931. Yinshui Xia, Zhufei Chu, William N. N. Hung, Lunyao Wang, and Xiaoyu Song, "An Integrated Optimization Approach for Nano-Hybrid Circuit Cell Mapping", IEEE Transactions on Nanotechnology, Volume 10, Issue 6, November 2011, pp. 1275-1284. Yongjian li, William N. N. Hung, Xiaoyu Song, and Naiju Zeng, "Exploring Structural Symmetry Automatically in Symbolic Trajectory Evaluation", Formal Methods in System Design, Volume 39, Number 2, October 2011, pp. 117-143. Yongjian Li, William N. N. Hung, and Xiaoyu Song, "A Novel Formalization of Symbolic Trajectory Evaluation Semantics in Isabelle/HOL", Theoretical Computer Science, Volume 412, Issue 25, June 2011, pp. 2746-2765. Zhiyang You, Xibin Zhao, Hai Wan, William N. N. Hung, Yuke Wang, Ming Gu, "A Novel Fault Diagnosis Mechanism for Wireless Sensor Networks", Mathematical and Computer Modelling, Volume 54, Issues 1-2, July 2011, pp. 330-243. Anping He, William N. N. Hung, Guowu Yang, Jinzhao Wu, and Lian Li, "Mathematical analysis of stage-based programmable logic controller", Computers and Mathematics with Applications, Vol. 61, Issue 7, April 2011, pp. 1769-1785. Guowu Yang, Fei Xie, William N. N. Hung, Xiaoyu Song, and Marek Perkowski, "Realization and Synthesis of Reversible Functions", Theoretical Computer Science, Vol. 412, Issue 17, April 2011, pp. 1606-1613. Fei He, Xiaoyu Song, William N. N. Hung, Ming Gu, and Jiaguang Sun, "Integrating Evolutionary Computation with Abstraction Refinement for Model Checking", IEEE Transactions on Computers, Vol. 59, No. 1, January 2010, pp. 116-126. Guowu Yang, William N. N. Hung, Xiaoyu Song, and Marek Perkowski, "Exact Synthesis of 3-qubit Quantum Circuits from Non-binary Quantum Gates", International Journal of Electronics, Vol. 97, No. 4, April 2010, pp. 475-489. Guowu Yang, Xiaoyu Song, William N. N. Hung, Marek Perkowski, and Chang-Jun Seo, "Synthesis of Reversible Circuits with Minimal Costs", Calcolo, Vol. 45, No. 3, September 2008, pp. 193-206. Guowu Yang, Xiaoyu Song, Marek Perkowski, William N. N. Hung, and Chang-Jun Seo, "Minimal Universal Library for nxn Reversible Circuits", Computers and Mathematics with Applications, Vol. 56, No. 1, July 2008, pp. 160-165. William N. N. Hung, Changjian Gao, Xiaoyu Song, and Dan Hammerstrom, " Defect Tolerant CMOL Cell Assignment via Satisfiability", IEEE Sensors Journal, Vol. 8, No. 6, June 2008, pp. 823-830. Lerong Cheng, Xiaoyu Song, Guowu Yang, William N. N. Hung, Zhiwei Tang and Shaodi Gao, "A Fast Congestion Estimator for Routing with Bounded Detours", Integration: the VLSI Journal, Vol. 41, No. 3, May 2008, pp. 360-370. Guowu Yang, Xiaoyu Song, William N. N. Hung, and Marek A. Perkowski, "Bi-directional Synthesis of 4-bit Reversible Circuits", The Computer Journal, Vol. 51, No. 2, March 2008, pp. 207-215. Fei He, William N. N. Hung, Xiaoyu Song, Ming Gu, and Jianguang Sun, "A satisfiability formulation for FPGA routing with pin rearrangements", International Journal of Electronics, Vol. 94, No. 9, September 2007, pp. 857-868. Guowu Yang, Xiaoyu Song, Marek A. Perkowski, William N. N. Hung, Jacob Biamonte and Zhiwei Tang, "Four-level realization of 3-qubit reversible functions", IET Computers and Digital Techniques, Vol. 1, No. 4, July 2007, pp. 382-388. William N. N. Hung et al, "Optimal Synthesis of Multiple Output Boolean Functions using a Set of Quantum Gates by Symbolic Reachability Analysis", IEEE Transactions on Computer-Aided Design, Vol. 25, No. 9, September 2006, pp. 1652-1663. Fei He, Xiaoyu Song, Ming Gu, Guowu Yang, William N. N. Hung and Jiaguang Sun, "Probabilistic Optimization for FPGA Board Level Routing Problems", IEEE Transactions on Circuits and Systems II, Vol. 53, No. 4, April 2006, pp. 264-268. Guowu Yang, William N. N. Hung et al, "Majority-Based Reversible Logic Gates", Theoretical Computer Science, Vol. 334, No. 1-3, April 2005, pp. 259-274. William N. N. Hung et al, "Routability Checking for Three-Dimensional Architectures", IEEE Transactions on VLSI Systems, Vol. 12, No. 12, December 2004, pp. 1398-1401. Lerong Cheng, William N. N. Hung et al, "Congestion Estimation for 3D Circuit Architectures", IEEE Transactions on Circuits and Systems II, Vol. 51, No. 12, December 2004, pp. 655-659. William N. N. Hung et al, "Segmented Channel Routability via Satisfiability", ACM Transactions on Design Automation of Electronic Systems (TODAES), Vol. 9, No. 4, October 2004, pp. 517-528. Ming Gu, Fei He, William N. N. Hung, and Xiaoyu Song, "A Comparative Study on Search Strategies for Cell Assignments", International Journal of Computer Mathematics, Vol. 81, No. 7, July 2004, pp. 901-908. Xiaoyu Song, William N. N. Hung et al., "Board-level Multi-Terminal Net Assignment for the Partial Crossbar Architecture", IEEE Transactions on VLSI Systems, Vol. 11, No. 3, June 2003, pp. 511-514. William N. N. Hung et al., "BDD Minimization by Scatter Search", IEEE Transactions on Computer-Aided Design, Vol. 21, No. 8, August 2002, pp. 974-979. William N. N. Hung, Richard Sun, "Challenges in Large FPGA-based Logic Emulation Systems", ACM International Symposium on Physical Design (ISPD), Invited Paper, Monterey, California, March 2018. William N. N. Hung, "Effective and Scalable Verification: Bridging Research and Industry", International Conference on Computer Aided Verification (CAV), Invited Talk, San Francisco, California, July 2015. Xinrui Guo, Xiaoyu Song, William N. N. Hung, Ming Gu, and Jiaguang Sun, "Fault Localization with Partially Reliable Test Results Using Dempster-Shafer Theory", Theoretical Aspects of Software Engineering Conference (TASE), Changsha, China, September 2014. William N. N. Hung et al., "Motion Planning with Satisfiability Modulo Theories", IEEE International Conference on Robotics and Automation (ICRA), Hong Kong, China, June 2014. Yu Jiang, Hehua Zhang, Xiaoyu Song, Jiaguang Sun and William N. N. Hung, "System Reliability Calculation Based on the Run-time Analysis of Ladder Program", ACM SIGSOFT Symposium on the Foundations of Software Engineering (FSE), Saint Petersburg, Russia, August 2013. Hui Kong, Fei He, Xiaoyu Song, William N. N. Hung and Ming Gu, "Exponential-Condition-Based Barrier Certificate Generation for Safety Verification of Hybrid Systems", International Conference on Computer Aided Verification (CAV), Saint Petersburg, Russia, July 2013. Yu Jiang, Hehua Zhang, Xioayu Song, William N. N. Hung, Ming Gu and Jiaguang Sun, "Verification and Implementation of the Protocol Standard in Train Control System", IEEE 37th Annual Computer Software and Applications Conference (COMPSAC) , Kyoto, Japan, July 2013. Hehua Zhang, Yu Jiang, William N. N. Hung, Xiaoyu Song, and Jiaguang Sun, "Sequential Dependency and Reliability Analysis of Embedded Systems", IEEE/ACM Asia and South Pacific Design Automation Conference (ASP-DAC), Yokohama, Japan, January 2013. Yu Jiang, Hehua Zhang, Xun Jiao, Xiaoyu Song, William N. N. Hung, Ming Gu, and Jiaguang Sun, "Uncertain Model and Algorithm for Hardware/Software Partitioning", IEEE Computer Society Annual Symposium on VLSI (ISVLSI), Amherst, Massachusetts, USA, August 2012. Wensheng Guo, Guowu Yang, Qianqi Le and William N. N. Hung, "Complete SAT Solver Based on Set Theory", International Conference on Information Computing and Applications (ICICA), Chengde, China, September 2012. Qianqi Le, Guowu Yang, William N. N. Hung and Wensheng Guo, "Reliable NoC Mapping Based on Scatter Search", International Conference on Information Computing and Applications (ICICA), Chengde, China, September 2012. Hehua Zhang, Yu Jiang, Xun Jiao, Xiaoyu Song, William N. N. Hung and Ming Gu, "Reliability Analysis of PLC Systems by Bayesian Network", IEEE Sixth International Conference on Software Security and Reliability (SERE), Washington, D.C., June 2012. Yongjian Li, Naiju Zeng, William N. N. Hung and Xiaoyu Song, "Combining Theorem Proving and Symbolic Trajectory Evaluation in THM&STE", Haifa Verification Conference (HVC), Haifa, Israel, December 2011. Yongjian Li, Naiju Zeng, William N. N. Hung and Xiaoyu Song, "Enhanced Symbolic Simulation of a Round-robin Arbiter", IEEE International Conference on Computer Design (ICCD), Amherst, Massachusetts, October 2011. Hehua Zhang, Yu Jiang, William N. N. Hung, Xiaoyu Song and Ming Gu, "Domain-driven Probabilistic Analysis of Programmable Logic Controllers", 13th International Conference on Formal Engineering Methods (ICFEM), Durham, United Kingdom, October 2011. Zhufei Chu, Yinshui Xia, William N. N. Hung, Lunyao Wang, and Xiaoyu Song, "A Memetic Approach for Nanoscale Hybrid Circuit Cell Mapping", 13th Euromicro Conference on Digital System Design: Architectures, Methods and Tools (DSD), Lille, France, September 2010. Fei He, He Zhu, William N. N. Hung, Xiaoyu Song, and Ming Gu, "Compositional Abstraction Refinement for Timed Systems", IEEE International Symposium on Theoretical Aspects of Software Engineering (TASE), Taiwan, August 2010. Yongjian Li, William N. N. Hung, and Xiaoyu Song, "Automatically Exploring Structural Symmetry in Symbolic Trajectory Evaluation", Hardware Verification Workshop (HWVW), Edinburgh, United Kingdom, July 2010. Guowu Yang, William N. N. Hung, Xiaoyu Song and Marek Perkowski, "Synthesizing Hybrid Quantum Circuits without Ancilla Qudits", IEEE Congress on Evolutionary Computation (CEC), Barcelona, Spain, July 2010. Yinshui Xia, Zhufei Chu, William N. N. Hung, Lunyao Wang, and Xiaoyu Song, "CMOL cell assignment by genetic algorithm", 8th IEEE International NEWCAS Conference (NEWCAS), Montreal, Quebec, Canada, June 2010. He Zhu, Fei He, William N. N. Hung, Xiaoyu Song and Ming Gu, "Data Mining based Decomposition for Assume-Guarantee Reasoning", Formal Methods in Computer Aided Design (FMCAD), Austin, Texas, November 2009, pp. 116-119. Xiaojun Lu, Guowu Yang, Jianping Li, Xiaoyu Song, and William N. N. Hung, "The Probability Logics for Nanoscale Inverters Cascade", IEEE Congress on Evolutionary Computation (CEC), Hong Kong, China, June 2008. William N. N. Hung, Changjian Gao, Xiaoyu Song, and Dan Hammerstrom, "Defect Tolerant CMOL Cell Assignment via Satisfiability", Nanoelectronic Devices for Defense and Security (NANO-DDS), Crystal City, Virginia, June 2007. Guowu Yang, Fei Xie, Xiaoyu Song, William N. N. Hung, and Marek Perkowski, "A Constructive Algorithm for Reversible Logic Synthesis", IEEE Congress on Evolutionary Computation (CEC), Vancouver, Canada, July 2006. Guowu Yang, Xiaoyu Song, William N. N. Hung, Fei Xie and Marek Perkowski, "Group Theory Based Synthesis of Binary Reversible Circuits", Theory and Applications of Models of Computation (TAMC), Beijing, China, May 2006. Fei He, William N. N. Hung, Xiaoyu Song, Ming Gu, and Jiaguang Sun, "Segmented Channel Routing with Pin Rearrangements via Satisfiability", IEEE International Symposium on Circuits and Systems (ISCAS), pp. 6248-6251, Kobe, Japan, May 2005. Guowu Yang, Xiaoyu Song, William N. N. Hung, and Marek Perkowski, "Bi-direction Synthesis for Reversible Circuits", IEEE Computer Society Annual Symposium on VLSI (ISVLSI), Tempa, Florida, May 2005. Guowu Yang, Xiaoyu Song, William N. N. Hung, and Marek Perkowski, "On Realization of 3-qubit Reversible Circuits with the minimum number of non-linear gates", 7th International Symposium on Representations and Methodology of Future Computing Technologies (RM2005), Tokyo, Japan, September 2005. Guowu Yang, Xiaoyu Song, Marek Perkowski, and William N. N. Hung, "Minimal Universal Library for nxn Reversible Circuits", 7th International Symposium on Representations and Methodology of Future Comp uting Technologies (RM2005), Tokyo, Japan, September 2005. Guowu Yang, William N. N. Hung, Xiaoyu Song and Marek Perkowski, "Exact Synthesis of 3-qubit Quantum Circuits from Non-binary Quantum Gates Using Multiple-Valued Logic", IEEE/ACM Design Automation and Test in Europe (DATE), Munich, Germany, March 2005. Guowu Yang, Xiaoyu Song, William N. N. Hung and Marek Perkowski, "Fast Synthesis of Exact Minimal Reversible Circuits using Group Theory", IEEE/ACM Asia South Pacific Design Automation Conference (ASP-DAC), January 2005. Guowu Yang, Jin Yang, William N. N. Hung and Xiaoyu Song, "Implication of Assertion Graphs in GSTE", IEEE/ACM Asia South Pacific Design Automation Conference (ASP-DAC), January 2005. William N. N. Hung and Naren Narasimhan, "Reference Model Based RTL Verification: An Integrated Approach", 9th IEEE International High Level Design Validation and Test Workshop (HLDVT), Sonoma, California, November 2004. William N. N. Hung, Xiaoyu Song, Guowu Yang, Jin Yang and Marek Perkowski, "Quantum Logic Synthesis by Symbolic Reachability Analysis", 41st ACM/IEEE Design Automation Conference (DAC), San Diego, California, June 2004. Lerong Cheng, William N. N. Hung, Guowu Yang and Xiaoyu Song, "Congestion Estimation for 3D Routing", IEEE Computer Society Annual Symposium on VLSI (ISVLSI), Lafayette, Lousiana, February 2004. Guowu Yang, William N. N. Hung, Xiaoyu Song and Marek Perkowski, "Majority-Based Reversible Logic Gate", 6th International Symposium on Representations and Methodology of Future Computing Technologies (RM2003), Trier, Germany, March 2003. William N. N. Hung, Xiaoyu Song, Alan Coppola and Andrew Kennings, "On Segmented Channel Routability", IEEE International Symposium on Circuits and Systems (ISCAS), Scottsdale, Arizona, May 2002. Xiaoyu Song, William N. N. Hung, Alan Mishchenko, Malzorgata Chrzanowska-Jeske, Alan Coppola and Andrew Kennings, "Board-Level Multiterminal Net Assignment", 12th ACM/IEEE Great Lakes Symposium on VLSI (GLSVLSI), New York, New York, April 2002. William N. N. Hung and Xiaoyu Song, "On Optimal Cell Assignments in PCS Networks", 21st IEEE International Performance, Computing, and Communications Conference (IPCCC), Phoenix, Arizona, April 2002. William N. N. Hung and Xiaoyu Song, "BDD Variable Ordering by Scatter Searchi", 19th IEEE International Conference on Computer Design (ICCD), Austin Texas, September 2001. William N. N. Hung, Adnan Aziz and Ken McMillan, "Heuristic Symmetry Reduction for Invariant Verification", 6th IEEE/ACM International Workshop on Logic Synthesis (IWLS), Tahoe City, California, May 1997. N. N. William Hung and Dhiraj Goswami, "Generalized Resettable Memory", U.S. Patent No. 9958917, Issued May 1, 2018. Lingyi Liu, N. N. William Hung. Sitanshu Seth, Leo Broukhis and Dhiraj Goswami, "Formal method for clock tree analysis and optimization", U.S. Patent Publication No. US2018/0082004 A1 (Published March 22, 2018). Dhiraj Goswami, Aijun Hu, Na Xing, Jason Chen and N. N. William Hung, "Development and Debug Environment in a Constrained Random Verification", U.S. Patent No. 9202005, Issued December 1, 2015. Dhiraj Goswami, N. N. William Hung, "Information theoretic subgraph caching", U.S. Patent Application No. 13/766,749, Publication No. US 2014/0068533 A1 (Published March 6, 2014). Dhiraj Goswami, N. N. William Hung, "Information theoretic caching for dynamic problem generation in constraint solving", U.S. Patent No. 9720792, Issued August 1, 2017. Dhiraj Goswami, Soe Myint, N. N. William Hung, and Rajarshi Mukherjee, "Identifying inconsistent constraints", U.S. Patent No. 9069699, Issued June 30, 2015. N. N. William Hung, Qiang Qiang, Guillermo Maturana, Jasvinder Singh, and Dhiraj Goswami, "Optimizing constraint solving by rewriting at least one modulo constraint", U.S. Patent No. 9195634, Issued November 24, 2015. Dhiraj Goswami, N. N. William Hung, Jasvinder Singh, and Qiang Qiang, "Adaptive state-to-symbolic transformation in a canonical representation", U.S. Patent No. 8099690, Issued January 17, 2012. N. N. William Hung, Dhiraj Goswami, and Jasvinder Singh, "Method and apparatus for constructing a canonical representation", U.S. Patent No. 8370273, Issued February 5, 2013.